I finally did it ~ I took the plunge and created my first cooking video! I’d love for you to watch, just keep in mind that this is my first attempt and totally unscripted ~ please be kind :-). 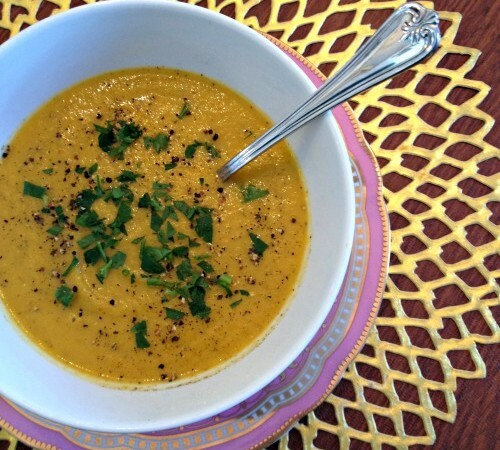 In the video I’m making a nourishing Sweet Potato & Onion soup. I recently brought this soup with me to a luncheon and it was a big hit. Heat a large pot over medium-high heat. Add oil followed by onion and garlic. Sauté about 3 minutes, until fragrant. Add broth, orange juice, carrot, sweet potato, parsley, salt and pepper. Cover pot and let simmer 15-20 minutes until potatoes are soft. Remove from heat and place mixer in blender (or leave in pot and use an immersion blender). Blend until smooth and garnish with parsley & season to taste. Serve & enjoy! 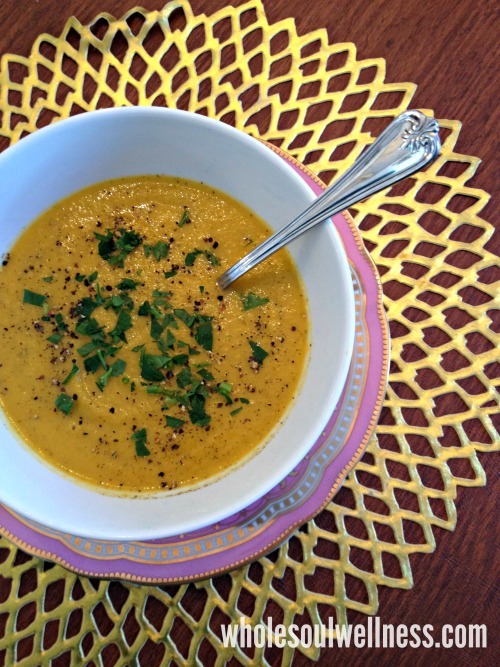 This delicious, creamy soup is just one of the recipes from my new Winter Detox. The Winter Detox begins on Thursday, February 26 so there’s still time to join us. To find out more and sign up, visit my Whole Soul Wellness Winter Detox page.